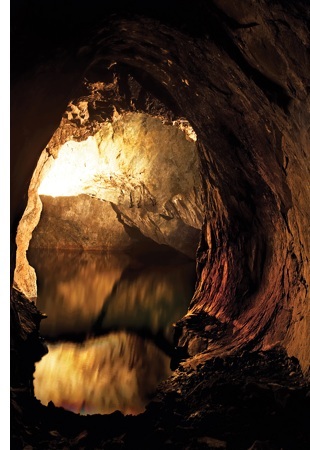 The Sala Silvermine — not to be confused with the Sarah Silverman — was a hub of economic activity for hundreds of years. As early as the 1400s and as late as 1962, miners excavated silver, lead and zinc from beneath the ground here. The town of Sala was ordered built on its current site by King Gustavus Adolphus in 1624 and all the infrastructure around it — the roads, the canals, and dam providing hydro-electric power — was built specifically to cater to the mine. That was then. Today, precious metals are no longer being extracted from the mine; it is operating purely as a tourist attraction. Though it doesn’t require great effort to imagine how the mine used to look. Much of the equipment is still in place and refreshingly little has been done to Disney-fy tourist’s experience of it. 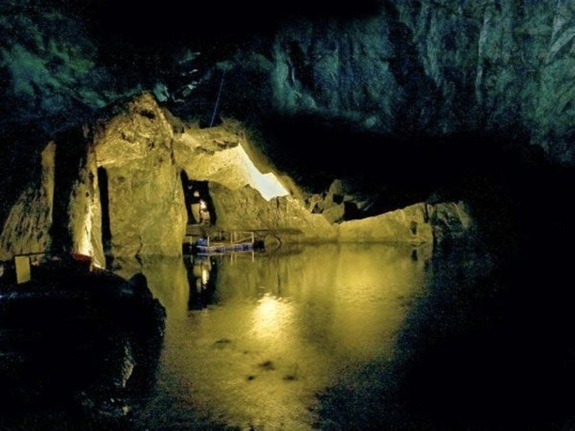 One friend of Spot Cool Stuff who’s a mine travel enthusiast (and possibly part-vampire) says that the Sala Silvermine is the best preserved mine he’s ever visited. For those who aren’t mine travel enthusiasts, easily the coolest feature of the Sala Silvermine is the chance to stay in the Mine Suite. 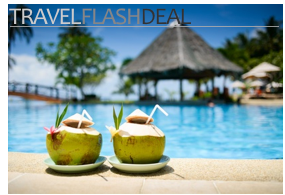 In addition to being the world’s deepest hotel room (relative ground level, not sea level) it also feels like one of the most secluded. 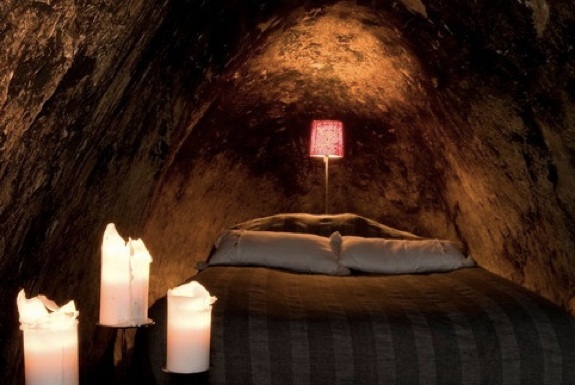 To get to the suite you need a guide to lead you through a maze of dark, damp passageways; it’s a little hard not to feel like a dwarf being lead on a quest through the Mines of Moria. The Mine Suite itself isn’t so much a group of rooms as it is an area of the mine that’s been made comfortable for habitation. The floor has been laid with brick, making for a level walking surface. The walls and ceilings have been polished smooth. Handrails have been placed in strategic locations. Shimmery furniture (bought at a Liberace garage sale, from the looks of it) provides areas to eat and sleep. After reassuring you that there are no bats hanging from the ceiling, your guide will show you where the facilities are, a five minute walk through the mine. (Make sure you turn right, not left, or you’ll be walking for some time). Then your guide leaves you with your dinner and a walkie talkie to reach him in case of emergency. And then the quiet hits hard. In the Mine Suite there is no TV, no radio, no wifi or cell signal or anything that makes a noise of any sort. Only you, your suite-mate (who, hopefully, you like and trust) and dead silence. The next morning, the guide returns to bring you breakfast — if you are still alive — and to show you the way back to sunlight. 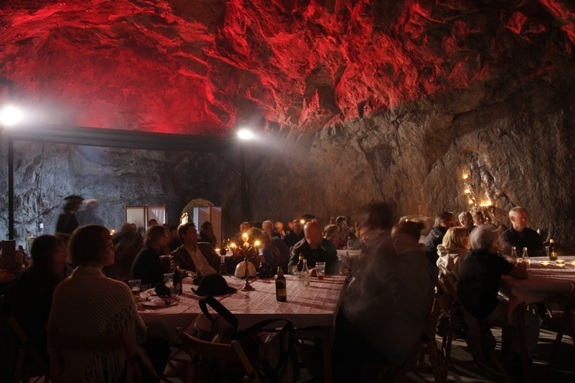 If the thought of staying in the Mine Suite is too creepy — or if the 3,990 SEK (about US$615) rate is too steep — the Sala Silvermind also operates a hostel that’s above ground. The bright, cheery, window-filled rooms are a near antithesis to the Mine Suite. 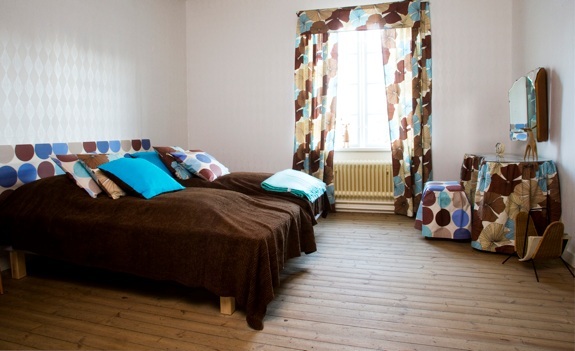 Rates start at 350 SEK for a dorm bed, 450 SEK for a single room (with discounts to Hostelling International members). 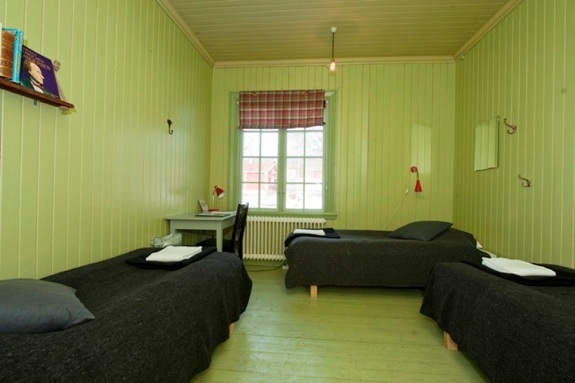 Though the hostel is perfectly nice, Spot Cool Stuff would rather take a day trip to Sala and spend the night in the fun town of Uppsala, 60km away. The Vandrarhem Uppsala Kungsängstorg hostel there is an excellent value (for Sweden). Wherever you spend the night on your trip to Sala, here’s to hoping you sleep deeply. A little too spooky for me, but I know a colleague who would really like such an experience.